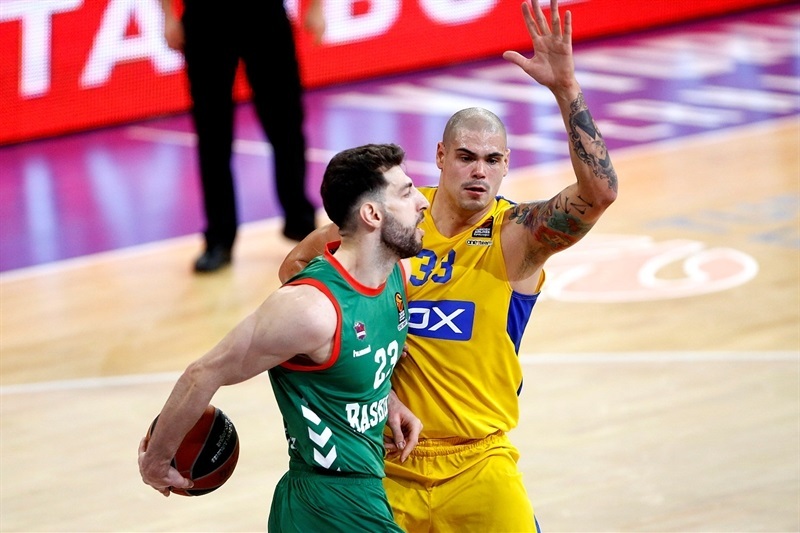 Baskonia Vitoria-Gasteiz put a great end to a glorious 2016 by downing Maccabi FOX Tel Aviv 101-88 in front of over 14,800 fans at Fernando Buesa Arena on Thursday. Baskonia improved to 10-5 at the halfway mark of the Turkish Airlines EuroLeague Regular Season while Maccabi dropped to 5-10. Johannes Voigtmann paced the winners with a career-high 23 points and 9 rebounds. 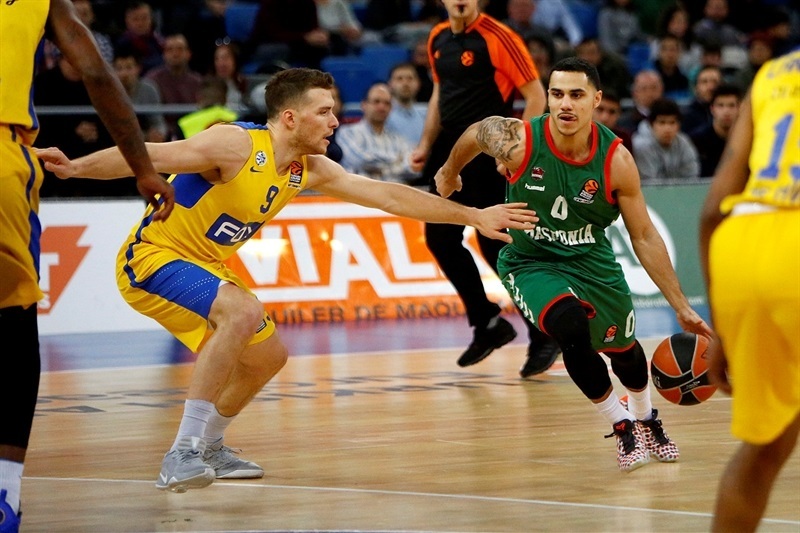 Toko Shengelia added 22 points, Rodrigue Beaubois had 14, Shane Larkin tallied 13 points and 13 assists and Chase Budinger contributed 12 points for Baskonia. 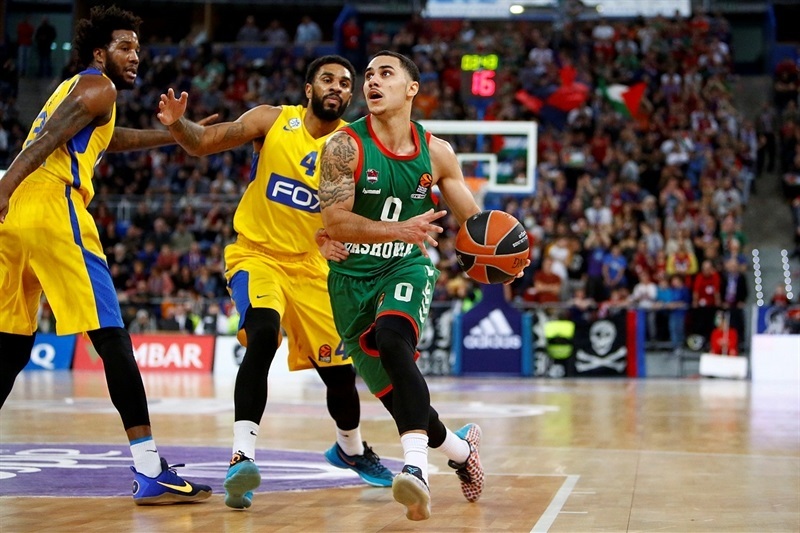 A triple by Adam Hanga midway through the third quarter marked 30,000 points for the club in the EuroLeague. 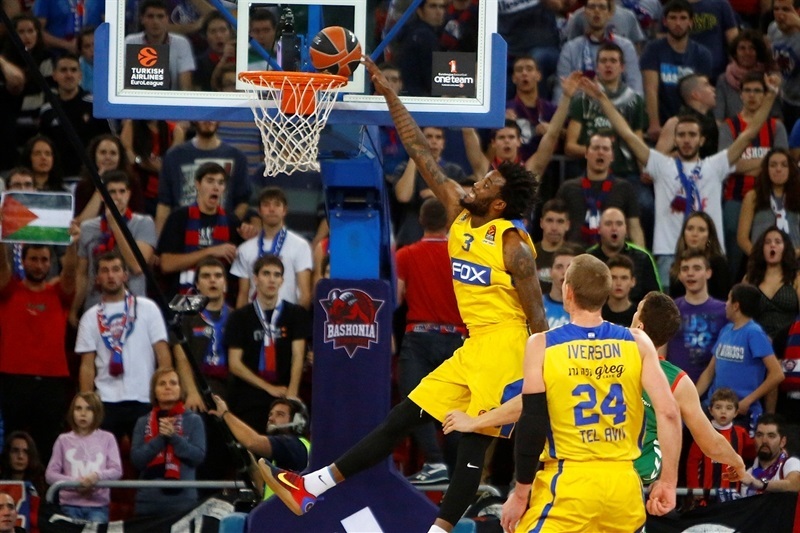 Victor Rudd led Maccabi with 20 points and Andrew Goudelock and Sonny Weems each had 13 for the visitors, who made 14 of 22 three-point shots. 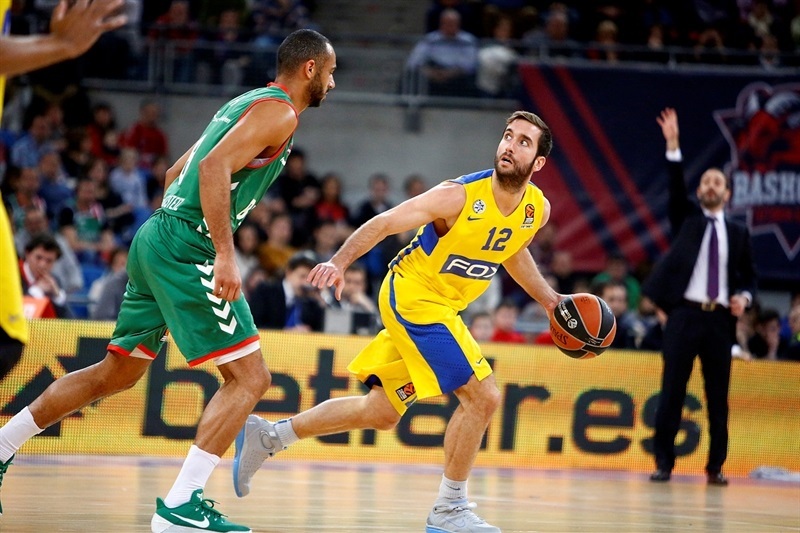 Baskonia forced Maccabi into 19 turnovers while committing just 8. Rudd shined early with a corner three-pointer and a big dunk off the baseline to give Maccabi a 5-7 lead. Shengelia and Larkin each struck from downtown to put Baskonia ahead 11-10. 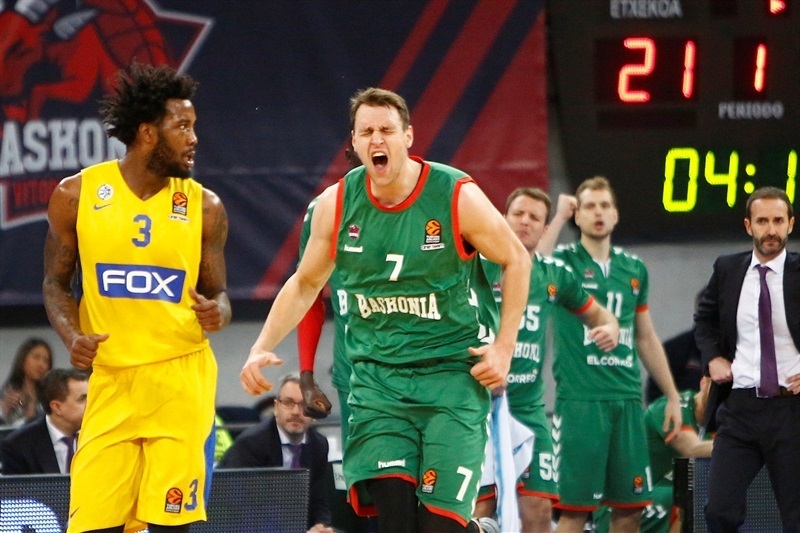 Shengelia kept pushing the hosts and got help from Voigtmann and Ilimane Diop to boost the Baskonia's lead to 23-17. 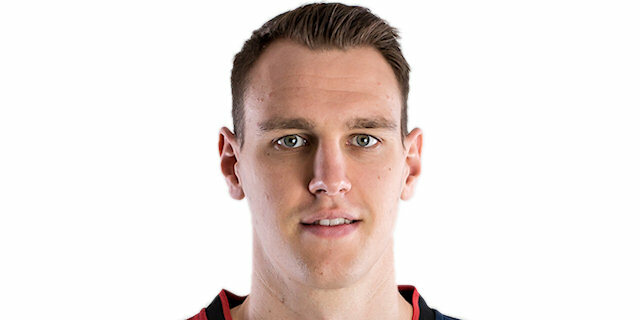 Maik Zirbes scored down low and added 3 free throws, but Adam Hanga and Rafa Luz took over with back-to-back layups and Budinger struck from downtown for a 30-24 Baskonia lead after 10 minutes. 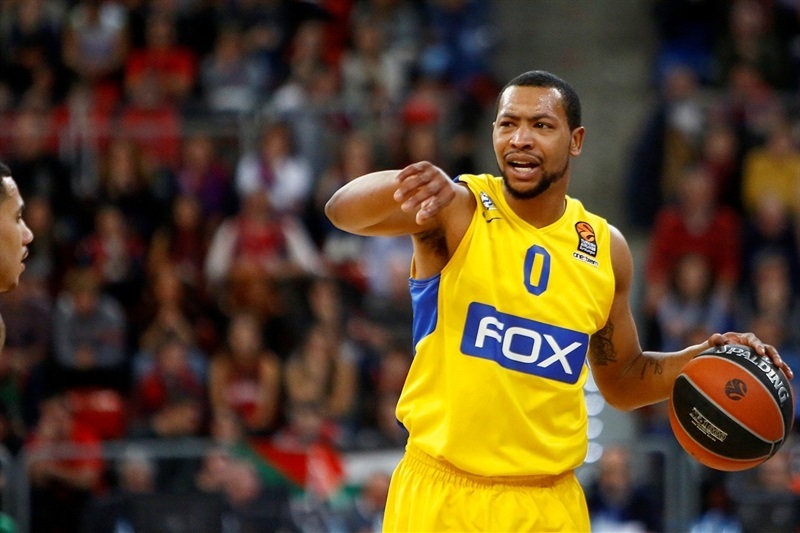 Weems buried a turnaround jumper and Goudelock followed an eight-meter circus shot with a jumper that helped Maccabi regain the lead at 31-33 midway through the second quarter. 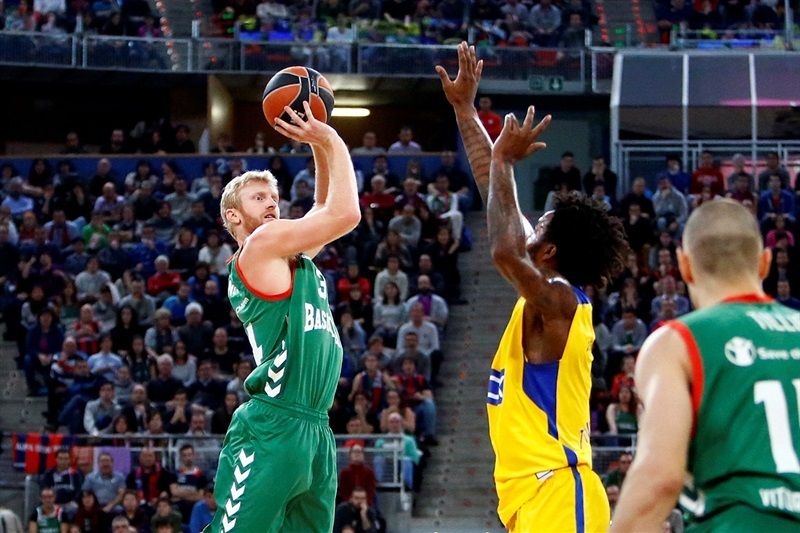 Shengelia stepped up with a layup and a jumper and Voigtmann added a three-pointer for a 42-38 Baskonia edge, which Rudd cut to 42-40 with a huge alley-oop dunk seconds before the halftime buzzer. Devin Smith sank a triple and Goudelock added a floater for a 44-45 Maccabi lead soon after the break. 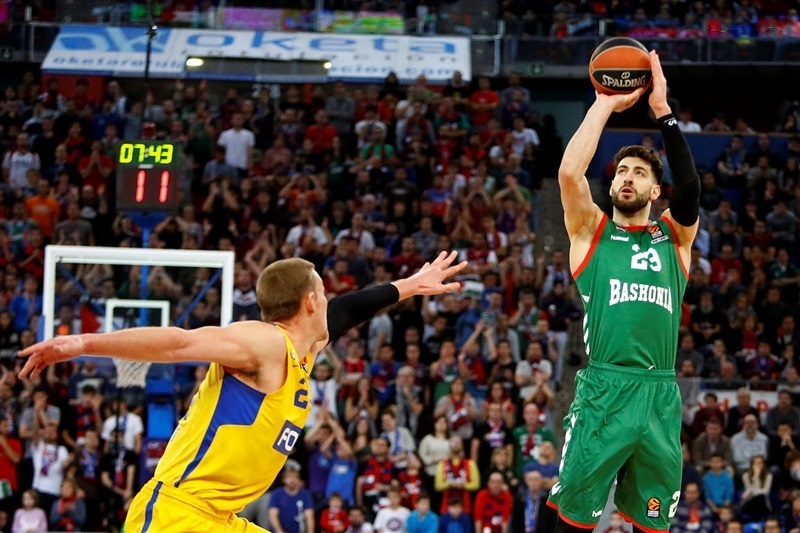 A big dunk by Shengelia highlighted a 11-0 Baskonia run, which Voigtmann capped with a close basket. Rudd and Goudelock buried consecutive triples, but an unstoppable Voigtmann restored a double-digit Baskonia lead, 62-52. Rudd and Smith stepped up for the guests and got help from D.J. Seeley to bring Maccabi a bit closer, 71-64, after 30 minutes. 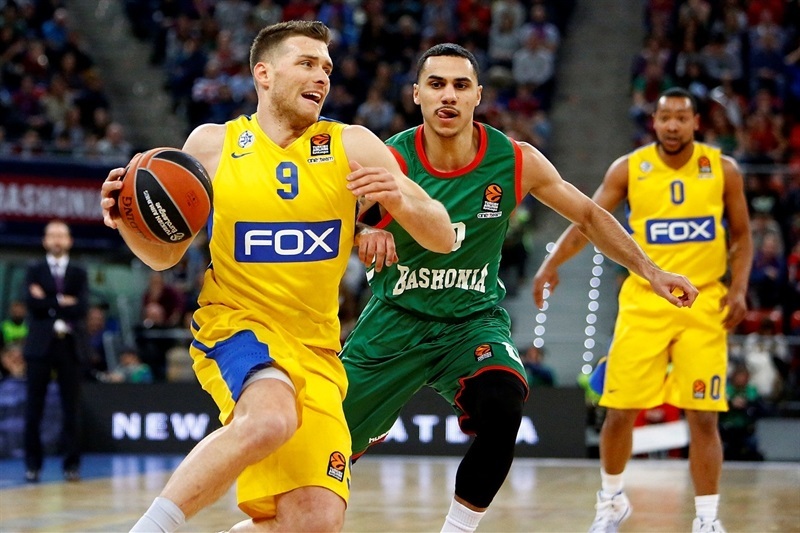 Sylven Landesberg and Gal Mekel each hit one from beyond the arc to get Maccabi as close as 73-70. It didn't last long, however, as Beaubois and Voigtmann fueled a 15-0 run that Hanga capped with a wild slam that sealed the outcome, 87-70. Maccabi kept trying, but the Baskonia fans had plenty of time to celebrate their team's 10th win. "We are very happy for this win; it is maybe one of the best games we have played this year. We played with great intensity in the opening 10 minutes and especially coming back from the locker room. We started very well on defense. When they wanted to punish us in the low post with their perimeter players, when they put five small players on the court to punish us in pick-and-roll situation, everyone worked very well. I want to say 'thank you very much' to our supporters, they were incredible. It was very important to win tonight after our loss in Gran Canaria [in the Spanish League]. They understood very well what we needed from them today. Without them [Baskonia fans], everything is more difficult. I am very happy for the atmosphere we had in Buesa Arena tonight. We could have won more games so far, but also won some close games that we could have lost. In general, we have been playing well, with intensity, improving every day. Some players have ups and downs, but others stepped up. Our goal is to keep improving and keep playing with high intensity, especially at home. We hope to start all games the way we are doing lately, like we did in Kazan and Athens. We always have to try to improve. 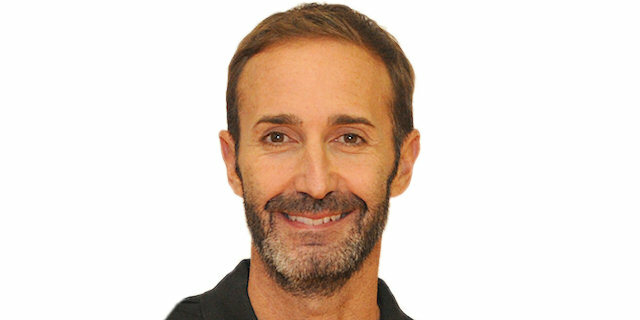 Maccabi is a great team, it has been a while since I saw a team with so much talent on the court, with so many great players. I think it is an incredible team; when they put Quincy Miller at the '5' and Victor Rudd at the '4', it was really tough to defend them. We were really close to be the team we want to become, in terms of intensity, ball movement and self-belief. I have to congratulate my players." 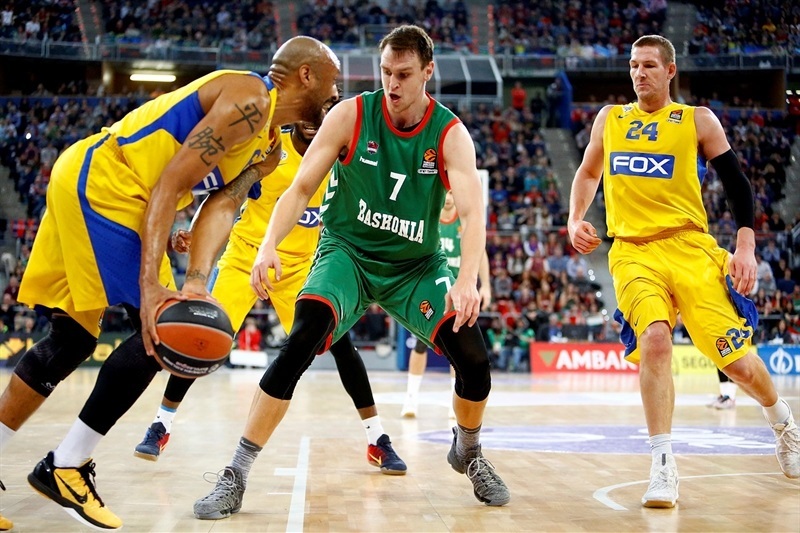 "I really enjoy the EuroLeague format, every game is tough and interesting. Of course, it is the best-quality basketball in Europe. 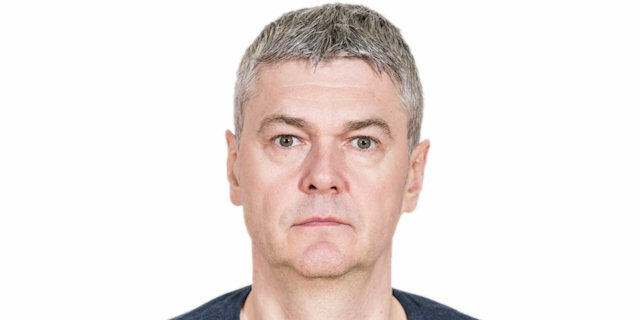 When I complain, I am angry at my players at that moment because I tell my players that we have to play as if there were no referees and control our emotions. There are no excuses for any technical foul and unsportsmanlike foul. The first thing I said when I got to the locker room five days ago is that we have to control our emotions, always. We need to play strong defense and if we don’t take that seriously, we are in trouble. We were weak in individual defense, transition defense and defensive rebounding. We had too many turnovers. We made simple mistakes." "We played as a team and had great ball movement. Everybody got open shots and we finally found our offensive rhythm, had a good pace. It was a pretty good offensive game. We always do a good job at home; we just lot one game against Olympiacos and have to keep going. We have an amazing crowd that pushes us all the time. I hope we can continue like that."